Run or don't run in the Tooth Fairy Fun Run. You can still help by fundraising and getting personal sponsors. 2. Log-in and select MY PAGE if you do not land on your personal page. ​4. Click the "$" sign icon. 6. Share the link address (in the web browser) for your fundraising page with your friends on Twitter and Facebook. 2. 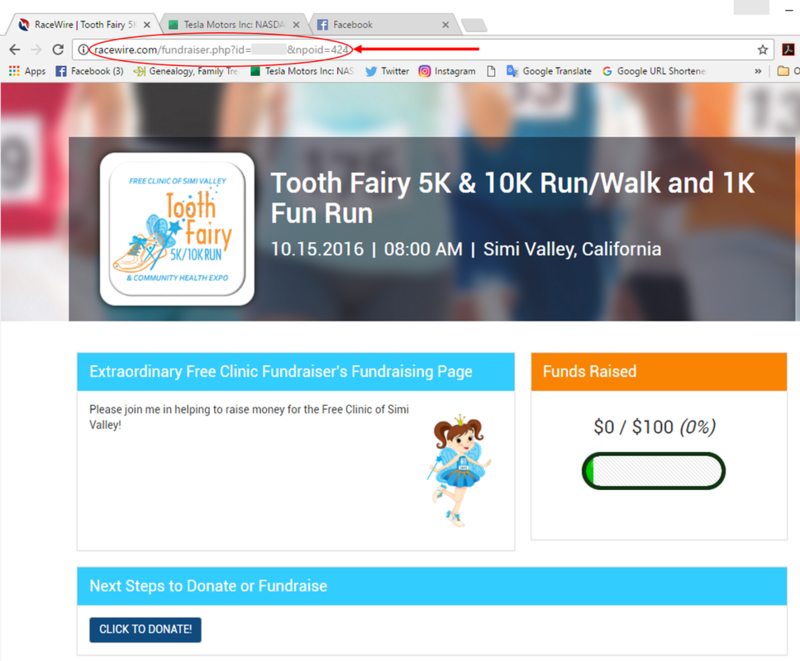 Scroll to the bottom of the page and click the "Sign-up To Fundraise" button and follow the steps to create your customized fundraising page.